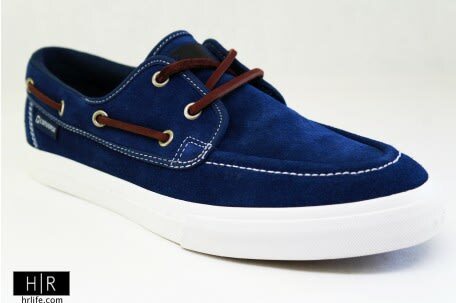 Kicks of the Day: Converse Sea Star S II Ox "Blue"
You can never have too many deck shoes for the summer months (just no visors, please) So in accommodating fashion, Converse presents a fresh creation of one of its popular boat-esque silos, the Sea Star S II Ox. This rendition welcomes blue suede on the upper, accented with white stitching as well as a white sole, and features brown leather laces to keep a more mature aesthetic. We really dig the vibrant blue hue on these, as they are available now through HR for $74.95.